Seneca says we should avoid the influence of the crowd. This is just as true today as in Ancient Rome. For the full episode and all the archives, check out rfne.org! Want some merch? We have t-shirts, mugs, and more. Just click here. Marot Memo - Candy is Bad for You! This is the Marot Memo feature only from Radio Free New England. For the full show, including an hour of music, go to rfne.org. This week, I talk about something I saw while out walking. It's a warning to anyone thinking about the explorer mindset. Want some Radio Free New England merch? Click here for shirts, mugs, and more. This week's Marot Memo picks up where we left off last week - the Explorer Mindset. We'll discuss ways to explore your natural world. For more, including this week's full episode, check out rfne.org. Want transcendent experiences? Really look around you. That's my advice in this week's Marot Memo. What do you do to find transcendence, or explore your world? Click this link to find out how to record your thoughts and tips. In this week's Marot Memo, I discuss the book The Power of Meaning by Emily Smith. For more, check out rfne.org. This week's features include Connecticut's role in ending the shutdown, this week's birthdays and events of note, and a tribute to NYT columnist and author, Russell Baker in the Marot Memo. S2 Ep 2 Where's Your John Hancock? In today's episode: New England's statehouses get busy with legislation, New Englanders gear up for winter weather and the AFC championship, and we celebrate milestones of the week, including John Hancock's 282nd birthday. Check out rfne.org for more episodes, t-shirts, and more. When we're sick, we're not at our best. Chris tries to apply Stoic thinking to illness and our life struggles. RNFE S1Ep1 Interview with Cole Bales of Instant Karma! 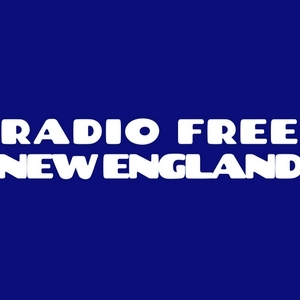 Welcome to the Features Only Podcast of Radio Free New England. Today, we talk to Cole Bales of the band Instant Karma! about the band's newest releases Give Me Freedom and Shine On.